As Americans continue celebrating, remembering, and analyzing the events of 150 years ago, the noble tragedy of the American Civil War, it is certainly worth considering the words of great and profound thinkers who have studied the event. I just posted the magnificent Russell Kirk’s words on President Abraham Lincoln from a 1970 speech he delivered in California. Now, I am posting quotes/excerpts from a Kirk article, “The Measure of Abraham Lincoln,” published in the English Jesuit periodical, The Month, 1954. As he did in the 1970 speech, Kirk here again painted Lincoln as the great conservative of his day, a man who understood timeless principles and who implemented them to the best of his ability. The Right, unfortunately, remains rather conflicted about the legacy and significance of Abraham Lincoln. I write unfortunate not because I dislike debate (should the Right ever totally agree on some thing, we might very well expect the fourth rider of St. John’s Apocalypse to appear from around the next corner), but because the debate has become simplistic and polarized. Just as Manichaeism has been declared heretical, so should this polarization be declared. Kirk offered a third approach. Russell Kirk was, after all, his own man. SOURCE: Russell Kirk, “The Measure of Abraham Lincoln,” The Month 11 (April 1954): 197-206. “Here was a man; and as the best of life is tragic, and as the highest reward of virtuous life is a noble and, so this man was fortunate in the hour of his death. Lincoln was struck down at the height of his powers, having endured with meekness and resignation all the agony of the war years; he died at the moment all his hopes were rewarded and all his acts justified. He passed from life unblemished by the rancor and corruption of the Reconstruction era, so that intended evil of Booth’s bullet was in reality, for link and a great relief and blessing.” [Pages 203–204]. Lincoln’s “proposals for Reconstruction in the South—carried out by Johnson so far as Johnson had the power to enforce them—save the Southern states from much of the ignominy, and some of the material ruin, which the Radicals would have inflicted upon them; and had his moderate projects for the gradual improvement of the Freedmen then made ineffectual, the whole present problem of race in America might be a good deal less distressing.” [Page 205]. “In this, for the most part, as in much else, Abraham Lincoln was a conservative statesman of a high order. Lincoln himself remarked of the founders of American independence (as Mr. Weaver reminds us), ‘they meant to set up a standard maxim for free society, which should be familiar to all, and revered by all; constantly looked to, constantly labored for, and even though never perfectly attained, constantly approximated, and thereby constantly spreading and deepening its influence and augmenting the happiness and value of life to all people of all colors everywhere.’ To this ideal of liberty under law, Lincoln added his own example, which has worked in calculable good in the altered America which has followed 1865. His greatness came from his recognition of enduring moral principle.… Abraham Lincoln, knowing that there is a truth above the advantage of the hour, argued from definition, on most occasions.… This is a long way from the big battalions; it is also a long way from Jacobin abstraction. 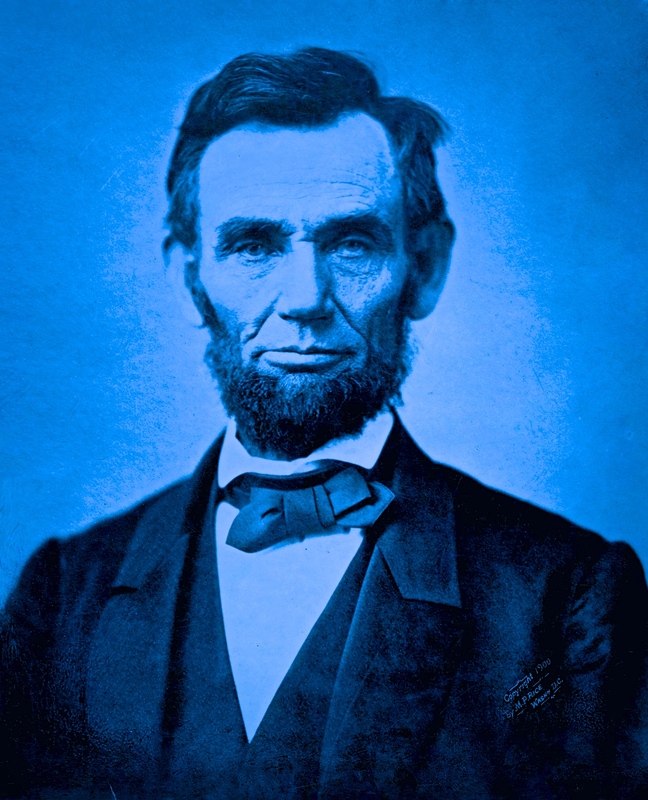 Lincoln’s strength, and his conservatism, did not arise from an affection for the excluded middle, which he called a ‘sophistical contrivance.’ He knew that what moved him was a power from without himself; and, having served God’s will according to the light that was given him, he received the reward of the last full measure of devotion.” [Pps. 205-206].